Home > Tips > How to Travel with a Cat on a Plane: Yoda Flies to Nepal! So, you want to take your kitty with you no matter where you go even if it’s on the opposite side of the world? Stressed about how to do just that?? Worry no more. 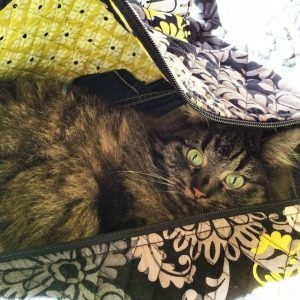 We have broken down the overwhelming “to-do list” of how to travel with a cat into simple steps. Leaving home for 2 years was a hard decision to make. Whether or not I was going to take my precious kitty Yoda wasn’t as difficult of a choice, however. I simply knew I could not live without him for two years. “Nope, nada, ain’t gonna do it” I said. Would I have given it a second thought if I had known how crazy it would be to get everything sorted out?? Perhaps… (Just kidding, Yoda! Mommy loves you). What I can tell you is that taking your furry beloved feline with you traveling is a decision you will not regret! Let’s get down to it then. 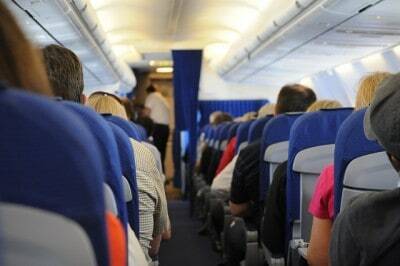 Below you will find different categories concerning the to-dos during each stage of travel*. *Note: There are significant differences in preparing to travel either domestically or internationally with your cat. 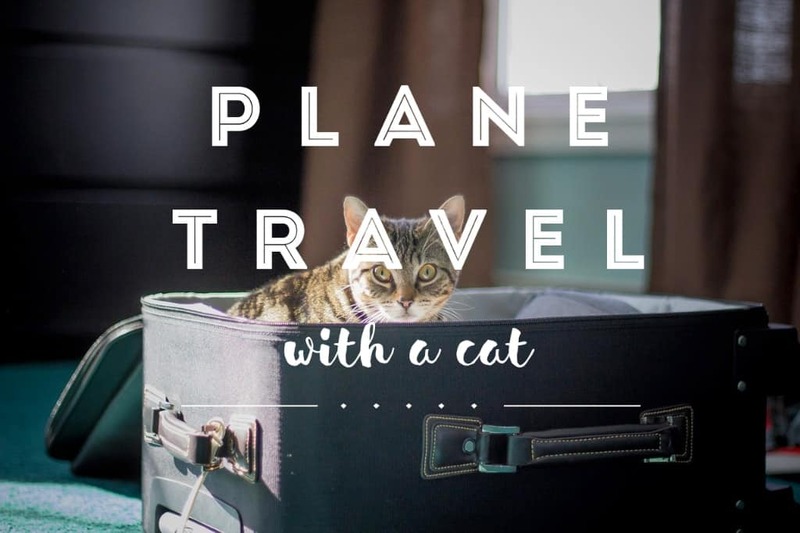 I will be mainly describing what-to-do for international travel as it requires more preparation and since domestic flights are much easier for travel with your cat (same applies to small dogs). Don’t have much time? No problem, if you’re in a skimming mood here is the article summed up. 4. Call the airlines you are flying with. If flying with more than one airline, then you will need to pay separate pet fees for both. Make sure you get reliable answers, when in doubt ask again. 5. 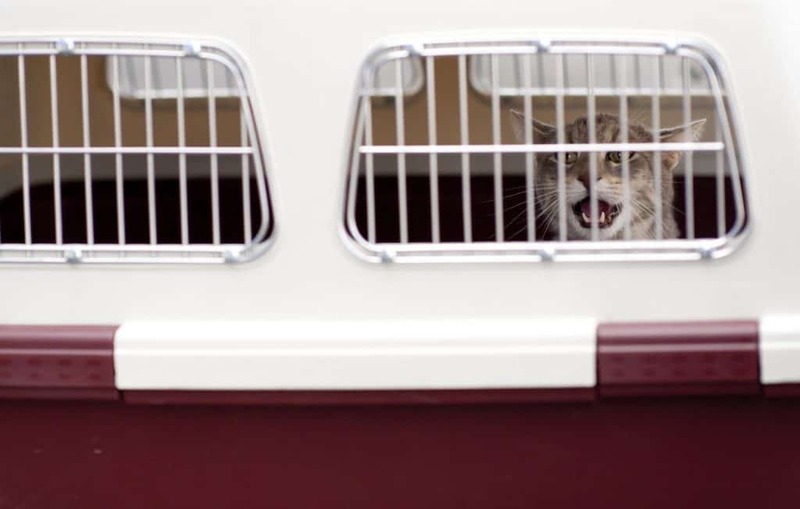 Buy an appropriate-sized pet crate + accessories whether soft-sided (in-cabin) or hard (cargo). 6. 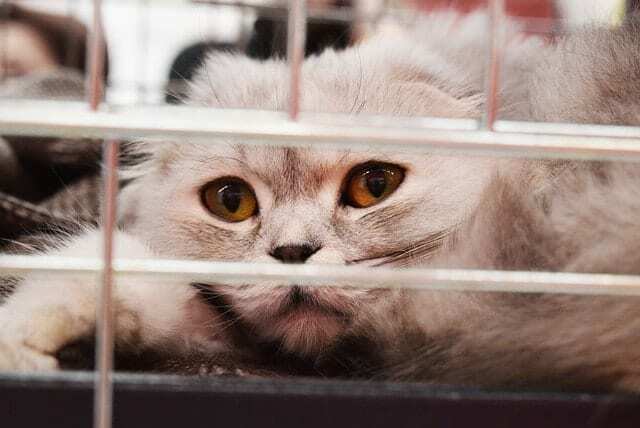 Get your cat used to traveling in the crate, associate it with positives (treats, toys, caresses). 7. Just to be safe, make copies of all your documents (vaccinations, rabies certificate, health certificate) and keep these with you in your carry on when you travel. 8. If you feel the need and in addition to having your cat microchipped, have a tag engraved with pet name, your name & contact information. I got Yoda one for his collar, $4 at the animal shelter. 1. Expect to be stared at; it’s like being a celeb when you walk around the airport with a crate that displays “live animals” on both sides. 2. 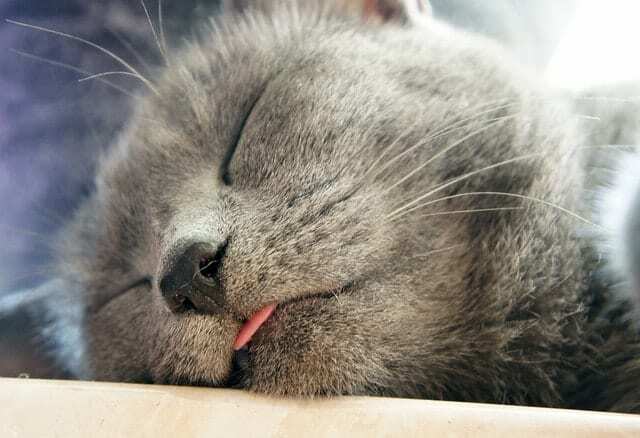 If going on board with your cat, security will require that you take your cat out and hold him – then they swab your hands. Yoda was very scared to come out of his carrier so expect a bit of a tug-o-war. 3. If you’re waiting around, don’t hesitate to open the cage door and stick your hand in there to comfort your kitty (or sneak him a yummy treat), they’ll feel much better for it. 4. When you board the plane(s), have one of the flight attendants confirm with the pilot that the oxygen and temperature are being regulated in cargo. Better safe than sorry! 5. Last but not least, try not to stress! Telling yourself it will be okay will tell your cat too. Below is a list of items you need to checklist before leaving your country to go abroad with your cat. It is absolutely vital that you find out your destination country’s requirements upon arrival. Will the country require that your cat is quarantined? What documents do you need? What vaccinations does my pet need to have? These are types of questions you need to be asking and finding the answers to. 2. Do not wait, be proactive! Something I wish I had more time to do. I had very little time to prepare Yoda for international travel because I was informed of my acceptance into the program and starting date with unexpected, short notice. I managed, however, so I know you can too! Give yourself adequate time to prepare, it will make everything flow much smoother. Plan at least 2-3 months (minimum) in advance. Vet appointments need to be scheduled for vet certification, vaccinations, etc. There are deadlines, so make sure not to miss them. Each country is different. You can find lots of country-related information (including vaccination requirements) on Pet Travel. 3. 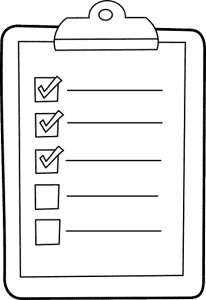 Make phone calls, appointments: Ask, be persistent! Once you have done your research, make an appointment at your local vet. Bring a list of all the vaccinations/boosters your cat will require. 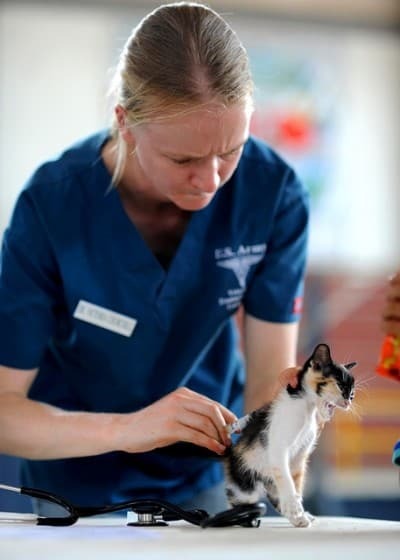 Global/International Microchip (most veterinarians will ask if your cat is micro-chipped, if not they highly recommend getting it taken care of). You will also need to schedule an appointment for the International Health Certificate (read more below). You cannot fly with your cat without it!! Make sure you speak to a real person about bringing your pet with you and make sure you repeat what they say to get confirmation about what will be happening the day you travel. You can pay the international pet fee either on the phone or when you arrive for check-in at the airport with your airline. If you have the required documentation, booked flights, and confirmation, then you’re ready to prepare for your journey. 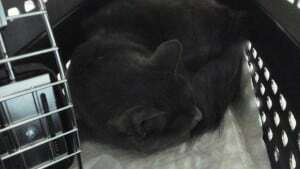 Make sure that your cat is comfortable in the carrier. Remember, all flights require your pet to go in an airline-approved carrier for cargo or in-cabin journeys. Yoda’s crate needed to be 3 inches taller and longer than his dimensions. In addition, a pee pad will need to go on the bottom of the carrier. Do not put toys or blankets in the carrier. Also, make sure to provide your cat with water. You might also want to put a little Ziploc bag of food taped on the outside of the crate. It is wise not to feed your cat 1-2 hours before the journey. A must have if traveling out of the country. Do not let “certificate” fool you. It’s not a simple piece of paper that your vet fills out and hands back to you on the same day. Tip: the International Health Certificate is only good for 10 days. So make an appointment for your cat in advance (please!) to ensure availability at the vets. I want to stress the importance on preparing for this appointment in advance. So I did not find out about the 10 day rule until I actually had 10 days remaining before I left the country. Yikes! I frantically called local vets. The vet technician over the phone said they indeed do international health certificates, so I thought oh great that’s perfect timing. So I arrive a few days later, and guess what… They actually did not do international health certificates, only domestic. The other vet in town did them, but was on vacation for 2 weeks. What timing, right? So then I call vets an hour away from where I live. One was too busy and couldn’t get me in. So I called around Johnson City, TN (where my sister lives and where we adopted Yoda) and got an appointment for two days later. I felt relieved. Oh, that brief sigh of relief turned out to be false, too. They called back, the day of the appointment, informing me they actually do not do international certificates, even though it said so on their website. Once again I was freaking out. I finally landed an appointment with another vet who got me in the next day. That’s not the end of it though. This international health certificate needed to be FedEx expedited to Florida overnight in order to get endorsed / approved / stamped by the USDA. So I went to FedEx and shipped the documents out, along with a pre-paid return folder for overnight shipping. I only had 4 days, but thankfully it got back to me within 48 hours. Whew, all was good with the world again. See why you need to prepare in advance? Domestic travel is much simpler because you pay a (cheaper) fee (mine was $125 one way) than international travel [also depends on which airline you fly with]. Domestic travel also opens up the possibility to bring your cat with you on board for in-cabin travel. For my first flight, Yoda and I traveled from Charlotte, NC to Philadelphia with US Airways. The best pet carrier to use is a soft-sided bag (must be airline approved), that way it stows nicely under the seat in front of you. You can find these for a good price on Amazon or we got ours at Target for around $35 (too bad we couldn’t use it > see why below). My experience traveling with Yoda in-cabin! Right, so everyone’s situation is a bit different, yes? Finding the right-sized carrier for Yoda for international travel was so overwhelming. Here’s why. Domestic flights have limitations to carrier dimensions, yet these same dimensions need to also apply and be approved by the international restrictions/limits. As our destination was outside of the country, Yoda could not come with me on board as most airlines do not allow pets in-cabin on transatlantic flights. (There are a few exceptions like Turkish Airways that allow pets to stay with you the whole way to avoid putting them in cargo). Anyways, my task was to find a hard carrier big enough to accommodate Yoda comfortably since I had to put him in cargo from Philadelphia > Qatar > Nepal. (You are not allowed to take 2 carriers on board with you, so I had to find one that fit both domestic and international requirements – very tricky). The US Airways dimensions were way too small for Yoda. So I pushed the limit, just a bit. I got an international airline-approved hard pet crate that was about 2 ½ inches too high for US Airways limit – but I was thinking they probably wouldn’t care… Wrong! Once I boarded the plane, I tried stowing Yoda under the seat in front of me when all of a sudden it just would not budge anymore. Oops, the crate was too big (it was to be expected). The plane starts moving and I am worried that during takeoff Yoda would start “meowling” (meowing and yowling) but nope, he didn’t make one sound the entire journey. He was so calm! What a good little traveler. Every now and then I would stick my fingers through the holes in his door and he would greet me with a few licks, letting me know he was okay. 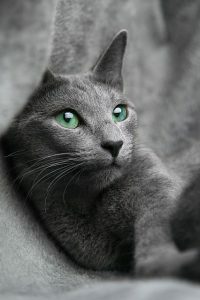 It is definitely a choice we cat parents would rather not make, but if you are flying long distances, it is most likely your cat will need to go in cargo. Here’s what to do to ease your mind a bit. We recommend Petmate > very sturdy, reliable, and #1 in customer reviews. You can find these online (Amazon), or in your local PetSmart store. It includes all of the requirements you see below. A “tag” that you can hook onto the outside with your cat’s name, your name and phone/email. When I arrived at check-in to put Yoda in cargo, Qatar Airways wanted to see the international health certificate and his vaccinations/rabies certificate. Make copies of them so make sure you have these documents with you at all times! They also weighed the crate with Yoda inside again. I also paid their pet fee of $250 at the counter. Hey, you do what ya gotta do. Tape some food on the outside of the crate in a small Ziploc bag if your pet will require feeding. I did just to be safe. But by the looks of it they didn’t even use it. Put some water in the bowl before leaving too. Alright then it is time to say goodbye to your baby. I gave Yoda one last caress and told him I’d see him soon. Then there he went on the conveyor belt until he disappeared from my sight. The next time I saw him was when I arrived at my destination in Nepal 15-20 hours later. They keep your animal during your transit/layover, so you do not have to worry about getting him and checking him back in when you change planes. Better to ask and be at peace of mind than to sit there and worry about it! Did I leave anything out about how to travel with a cat in a plane? If so, send us questions about how to travel with a cat or just leave a comment! We would be more than happy to guide you during this preparation process or point you in the right direction to blogs and websites that we found to be helpful. Hope you’ve enjoyed reading about Yoda’s experience traveling in a plane! Check out Instagram (@fluffyyoda), tweet to us on Twitter (@FluffyKittyYoda) and follow us on Facebook (Fluffy Kitty) for updates about our adventures as well as new articles, tips & reviews! Hi Brittany, I found your article helpful and I wanted to thank you. The only thing you didn’t mention is what/How Yoda handled the whole experience with no access to his litter box/opportunity to relieve himself(?) My cat Nícola and I are relocating from Washington DC to Australia and I am nervous about her health/well-being/general comfort going from LA to Melbourne. The flight alone is 15 hrs and she has to be checked in with the freight department a full 5 hrs before departure time. All in all, she will be in her crate for about 20 hrs (if there are no delays. I have ordered DryFur pads to line her crate, but am still feeling unsure. Any info/advice you may have would be great. Thanks! Hi Tina, thanks so much for your sweet comment. We’re super glad you found the article helpful. I’ve must’ve mentioned Yoda’s litter situation in another article — I could’ve swore I talked about it on here somewhere, ha ha. Yoda did great on his long flight. I was worried before too, but he did not go to the restroom in his crate…only after we arrived in the apartment did he go, once he felt comfy enough. I actually couldn’t find a litter box in Kathmandu and just used a cardboard box and he hopped right in and did his business! The pee pad in the crate is a must for cats traveling internationally just in case of accidents, but I don’t think Nicola will go on herself. It depends how desperate they are but Yoda has always held his. We just flew in-cabin from France to Miami last week in a soft carrier, and he also did great on the 10 hour flight. 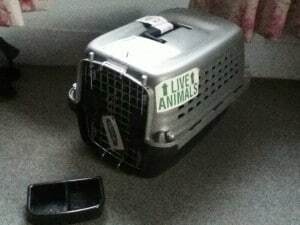 Now, when we flew to Nepal, Yoda was also in a crate for about 20 hours but in cargo, like Nicola will be. It can be a little unnerving for us cat moms! 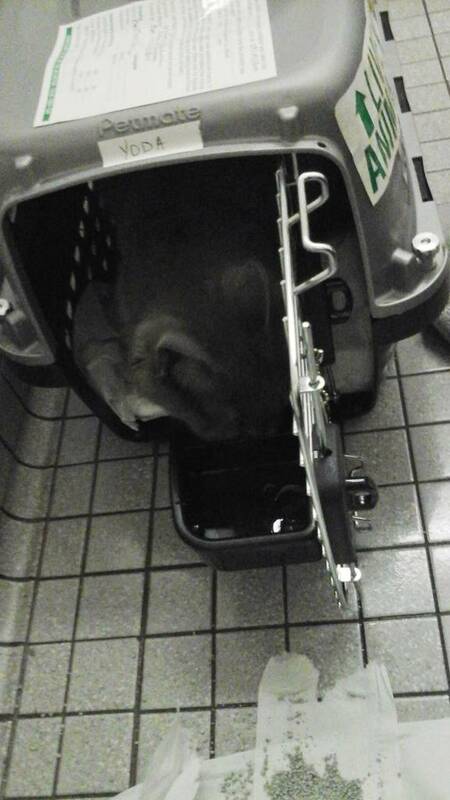 Before checking him in, I took him to the ladies room in Philly and went in a big bathroom stall, took him out and sprinkled litter on toilet paper (lol) and was encouraging him to go right before his flight…but he was in a strange place and probably wasn’t thinking about tinkling before the long journey. I think Nicola will likely be the same! I loved your story. Congrats on a successful trip! My boy Monty and i will be traveling from TX to MN mid FEB. I’ve been a bit nervous and replaying a cat panic attack in my head since i purchased his ticket. Awe thank you, Gabriel! We’re so happy you enjoyed our story of adventure! We guess Monty is riding with you in-cabin? We hope it will be a pleasant ride, and yes, no need to stress! 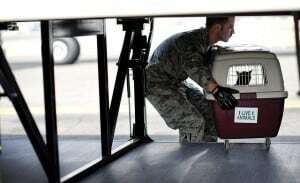 As long as the carrier matches the airline’s in-cabin pet carrier policy, it should be okay! When in doubt, just give them a ring. I literally called Qatar airways like 3 times within 24 hours just to make sure they reserved a spot for Yoda, haha! Best of luck and thanks for reading! 🙂 Let us know how it goes after your trip!